Having traversed through the Proverbs, we now enter one of the shorter Wisdom books (12 chapters), called “Ecclesiastes”. The meaning of this title is “The Preacher” and it is written by Solomon, the son of David, King of Israel. 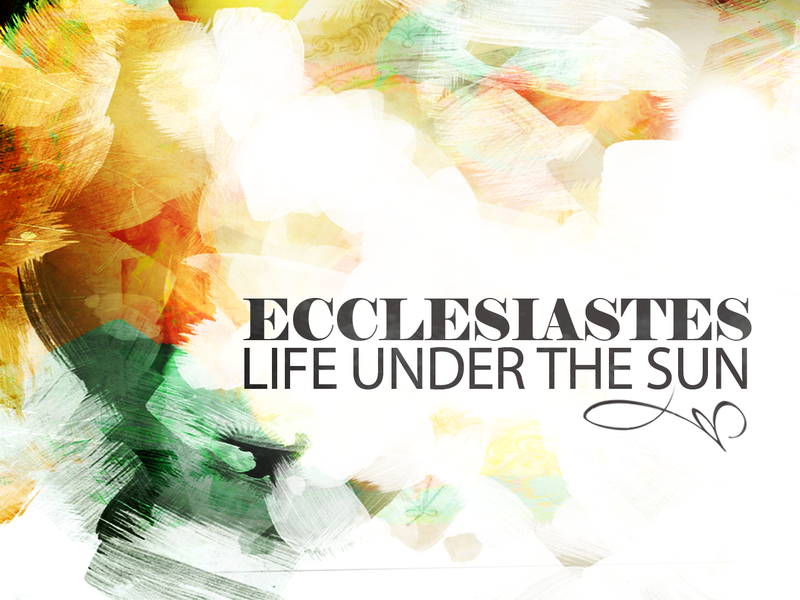 Ecclesiastes has often been the subject of much wrong doctrine and misunderstanding throughout Church history. Many Christians take statements Solomon makes in this book out of context and apply them to their own lives, not realizing the true intent of what is being spoken. The reason this book is so misunderstood is because of the nature of what was happening in the life of Solomon at the time he wrote it. If you recall, Solomon was not always the great wise king he is infamously referred to in history. In fact, much like his father David, Solomon had some character flaws and weaknesses. One of those major weaknesses was his desire for women. (According to 1 Kings 11:3 – he had 700 wives and 300 concubines). This almost insatiable appetite for the opposite gender, mixed with his tremendous wealth, all led this immature king away from the Lord later in his life. The unfortunate end of Solomon is spelled out for us in 1 Kings 11 – with the rebellion of his own son and the eventual collapse and division of his kingdom after his death. Despite repeated warnings to follow after the LORD (as his father had done), Solomon chose a very different path for himself. Only God’s incredible love and faithfulness toward his father, David, kept Solomon in the throne his entire life. The book of Ecclesiastes is a collection of Solomon’s thoughts and perspectives during his time away from the Lord. Due to his backslidden state, he wrestled with fear and despair, finding very little meaning through all of his wisdom. 1. His use of “God” through Ecclesiastes is not the intimate covenant relationship title (such as Jehovah) which he used earlier in his life (1 Kings 1-11; 2 Chr 1-9). Instead Solomon repeatedly referenced God as simply the Creator. According to many scholars, this was not mere accidental slip of the tongue. Solomon did not consider himself in covenantal relationship with Yahweh, Instead he spoke of God in a more abstract term for a deity. (A far cry from the language his father used!). 2. Another proof of Solomon’s spiritual state is found in Ecc 1:17. Here Solomon laments “I gave my heart to know wisdom, and to know madness and folly…” Beyond the overtly humanistic undertones in this statement, the only type of person who pursues “madness and folly” would be someone whose mind is far from the Lord. Instead of resting in the wisdom he had been given by the Lord, Solomon sought his own way and understanding – which led him into many problems. Solomon is not laying out great wisdom for us to emulate in his book of Ecclesiastes. Instead, we are afforded a front row seat before the playing out of a depraved mind that has strayed from the Lord. While there are many who believe Solomon is in hell because of his ultimate life choices, the bigger issue is the point of the book (and why it is included in the cannon of Scripture at all). We, as Christians, are not to build our lives around the musings of this wayward son, but instead we can see the devastating effects of sin. Solomon made a series of unfortunate decisions which led him away from the life-giving God of his father and into a valley of trouble – fully visited after his death upon the people of Israel. As you read, bear these things in mind. Please don’t quote Ecclesiastes as “proverbs to live by”. Instead, keep it in it’s rightful place, and allow it to warn you of what a life on your own looks like. 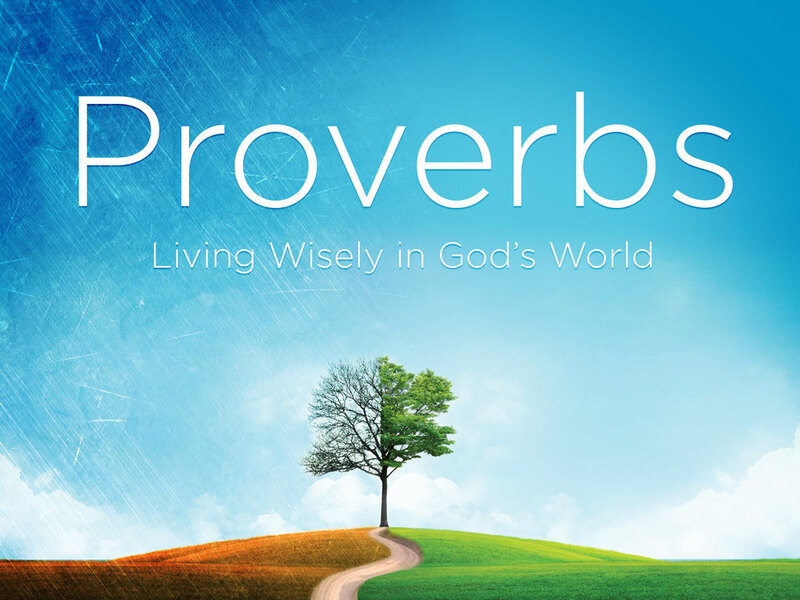 As we have read through the book of Proverbs, several themes have been addressed. For the astute thinker, it is clear that many times the answers provided in God’s Word stand in direct opposition to the answers offered us by the world of “experts”. In fact, as our culture intentionally moves further away from the standard outlined in the Bible, we are finding these diametrically opposed opinions flaunted as “truth” more and more before us. “The rod and reproof give wisdom, but a child left undisciplined brings his mother to shame. So the Bible (written thousands of years ago) tells us that a good parent is one who disciplines their children, teaching them right from wrong, many times using corporal punishment to help them learn. It doesn’t say to abuse them, nor to do damage to them out of anger. But it DOES tell us to spank them to help them grow into mature, healthy adults. There is an obvious disconnect between the advice from the experts and the advice from God’s Word. While God tells us that correct parenting is to take a rod of correction to your children to help them grow healthy and mature – the world says this approach actually damages them and creates future mental illness. (Is there anyone surprised that parenting the world’s way has created the generation of disrespect and lawlessness that our youth currently portray?). My wife and I have raised two beautiful, well-adjusted, mature young women – both packed with high self-esteem and virtue – and we both did not hesitate to spank them when they were younger! They are not damaged… bruised… nor mentally/emotionally unstable. This is just one small example of the two types of “wisdom” we are all presented with these days. Be smart – let God’s time-tested Word guide you… and turn off the “experts”.